The home of the Philadelphia Eagles is more than the place where Shady McCoy is setting records. It is now equipped with substainable energy at both ends of the Stadium. 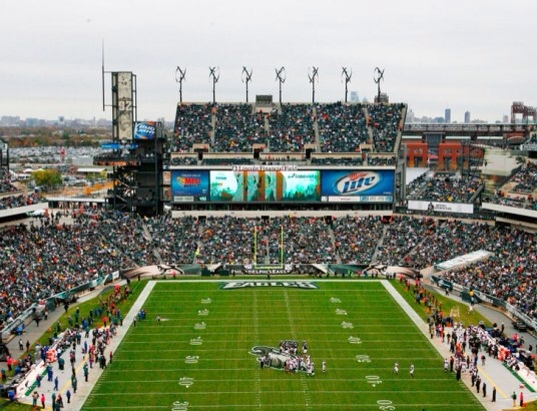 Lincoln FinancialField has gone green, as the long awaited solar panels and wind turbines now play a dominate part of the appearance of the 'Linc” as it is affectionately called. Not only are the Eagle winning games, but they are saving energy. 11,000 solar panel and 14 wind turbines are doing there part in making the Linc 24/7 Green.